Are You Prepared to Be HIPAA Compliant? 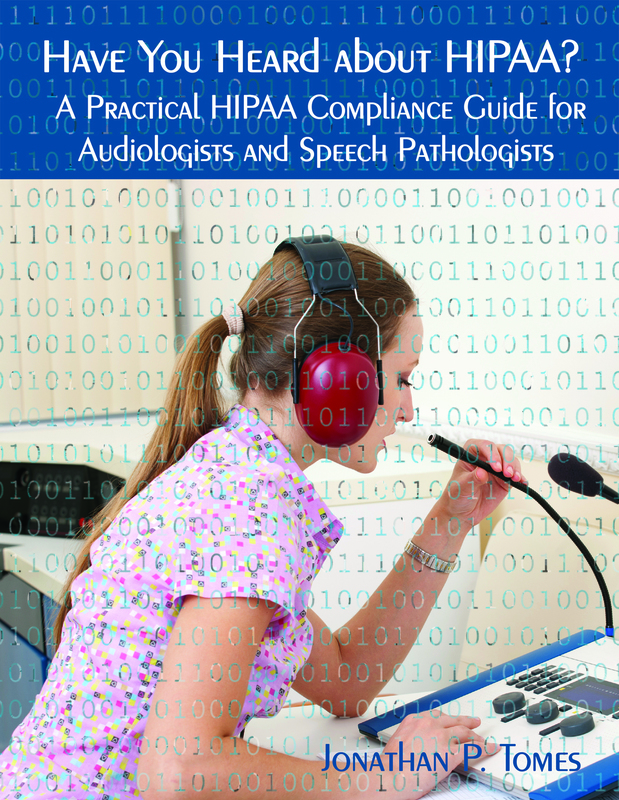 As audiologists and speech pathologists, do you need to be HIPAA Compliant? The answer is yes, many in your field seem to be under the impression that they do not need to be concerned about HIPAA because they think that they may not be covered entities or perhaps because they do not bill electronically using the standard transactions and code sets. Such is no longer the case. Now with Obamacare, all practitioners that want to receive government payments must do so electronically. That requirement will make you a covered entity, which means that you must comply with HIPAA and the HITECH Act. Jonathan P. Tomes is a two time presenter for the national American Speech-Language-Hearing Association (“ASHA”) convention and presented for the American Academy of Private Practice in Speech Pathology and Audiology (“AAPPSPA”). The questions from those seminar attendees inspired Jon to write this educational HIPAA compliance guide for Speech-Language-Hearing professionals. Leaving messages on a patient’s answering machine. How HIPAA allows for group therapy sessions. What can you tell your patient’s parents?